Last week we reviewed the new Sony S-Series Walkman, Sony have now been kind enough to lend us their X-Series Walkman to check out, the Sony NWZ-X1050. 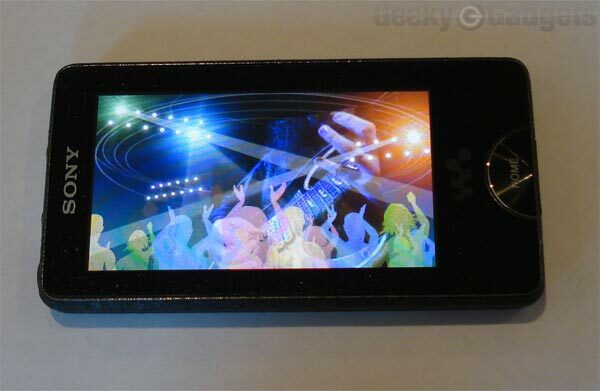 The Sony Walkman X-Series is Sony’s high end model in their Walkman range and it features a 3 inch OLED color display, with 262,144 colors and a 432 x 240 resolution. I have to admit the display is pretty impressive and the touchscreen works well, but as with all touchscreens it tends to get dirty pretty quickly, although no more so than that of the iPhone or iPod Touch. 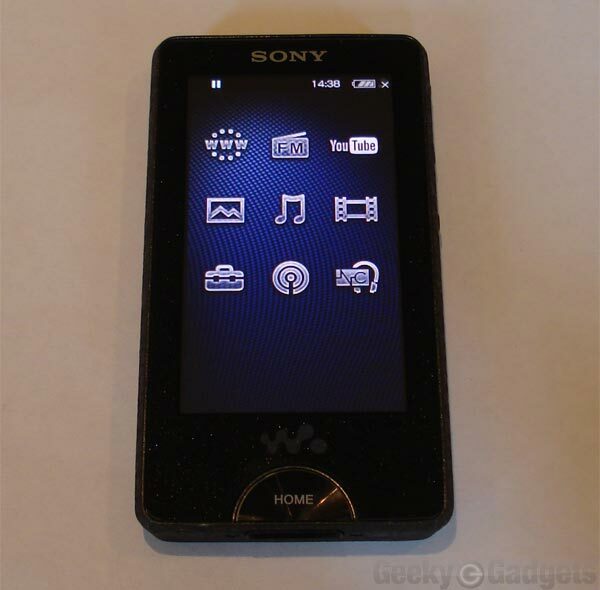 The Sony X Series Walkman comes with 16GB of storage built in, which is plenty of space to store lots of movies, photos and music, and as with the S-Series, transfer music and video files to the Walkman is easy, all you need to do is drag and drop your files into the software on your PC and they are transferred automatically to the Walkman. 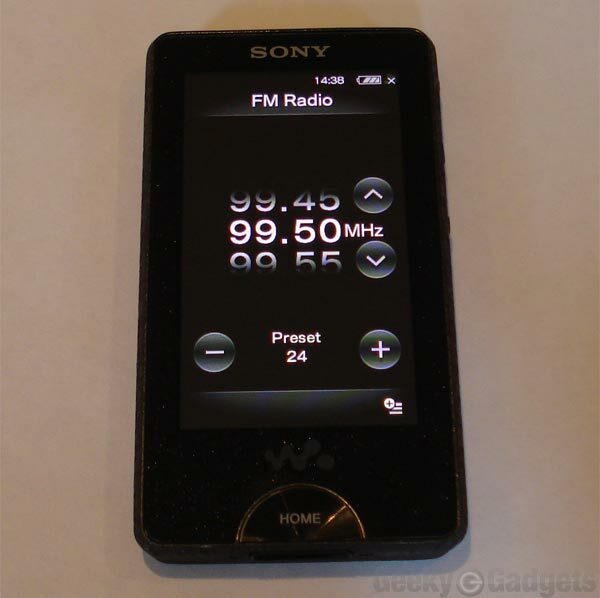 Other features on the Sony X Series include a built in FM Radio, WiFi which connects you to the net, although the built in browser isn’t the best and viewing sites which normally look great on devices like the iPhone don’t look the best due to the screens lack of width. Where the Sony X Series shines is in playing back music and video, exactly what it was designed to do, music sounds great on the X-Series, and the built in noise cancellation feature works pretty well, and the bundled headphones that come with the Walkman also sound great, and video looks great on the OLED screen as well. 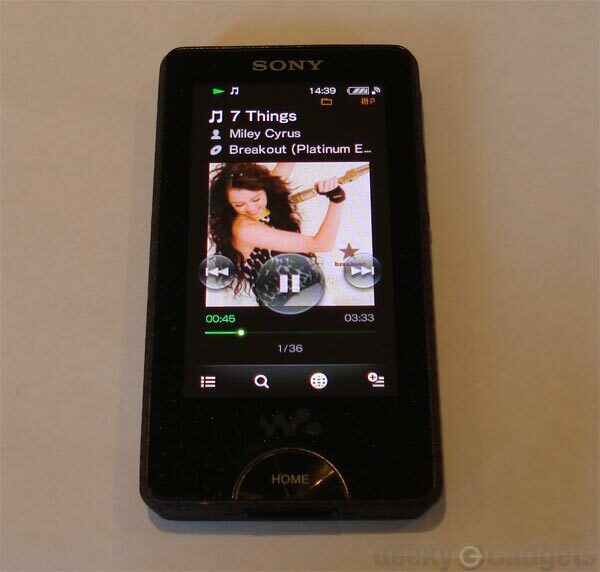 Overall the Sony Walkman X-Series is a great music and video player with some nice built in features, certain features aren’t the best like the Internet browser, the touchscreen is great and the display looks great with videos and photos. The Sony X-Series is available in 16GB and 32GB version, the model we tested was the 16GB Sony X1050 which retails for £215 about $349 ,whilst the 32GB version retails for £269.95 about $439.